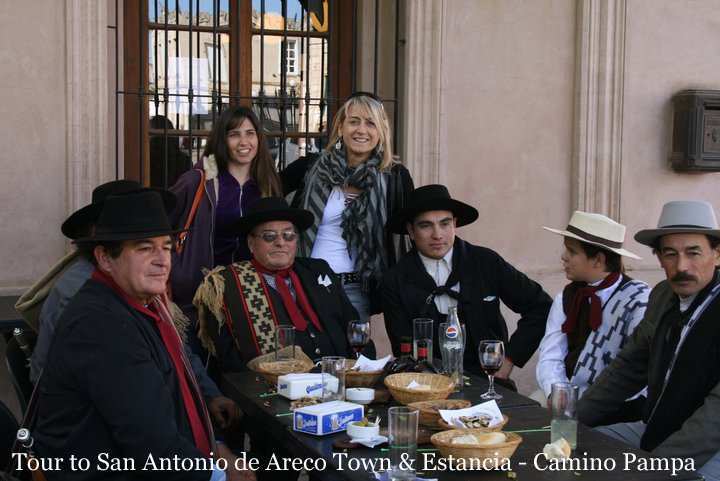 On this day trip with Camino Pampa Tours you’ll take in the rural town of San Antonio de Areco, a working ranch (estancia) & the surrounding Argentina pampas: the land of the gauchos. 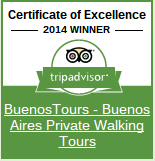 Why Take a Private Estancia Day Trip with Camino Pampa? If you want to get out of the busy city for a day to see the beauty and tranquility of Argentine country life, then this is the day trip for you. Most other “estancia day trips” (also known as “fiestas gauchas” or “dias de campo”) are organized in big groups, with busloads of tourists, delays, guides reading from a script in different languages, and a lack of personal attention. They’re tourist traps, and we would never recommend them. This private and premium estancia day trip is refreshingly different. You’ll have the luxury and convenience of private round-trip transportation. 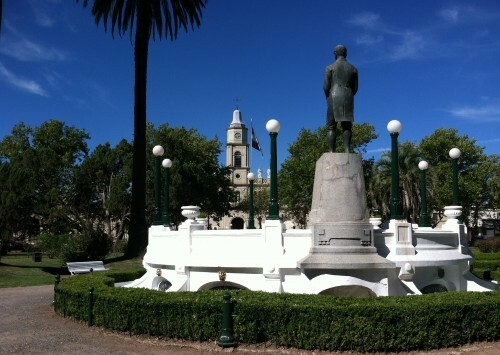 Your own private guide will then treat you to a personal tour around the quaint colonial town of San Antonio de Areco, before whisking you off to the most authentic working ranch in the area. Your own expert guide will stay with you at the estancia and you’ll even have the chance to customize what you see and do to your own interests throughout. This is the best way to sample the Argentine gaucho lifestyle, with the benefit of a private local guide committed to ensuring you have a fantastic day. 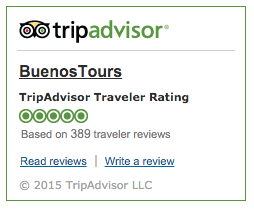 “I was so surprised by our day in September with Guillermo & the estancia. Guillermo’s knowledge of the area & the gaucho culture was more than the translation of text from a history book. His pride in his culture was evident in every single word, it was more like the telling of a love story. Click Here to Book this Estancia Day Trip Now! 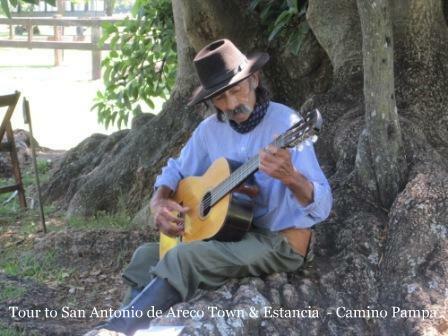 • A fascinating walking tour around quaint colonial town of San Antonio de Areco, described by Lonely Planet as “the prettiest town in the pampas”. 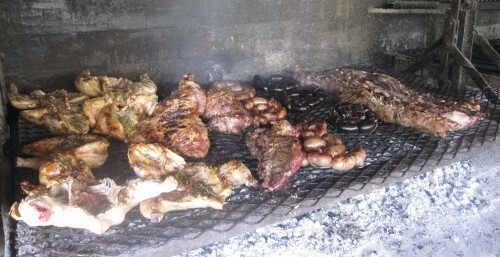 • Visit a traditional local pulperia (gaucho bar) – the oldest of its type in Argentina. 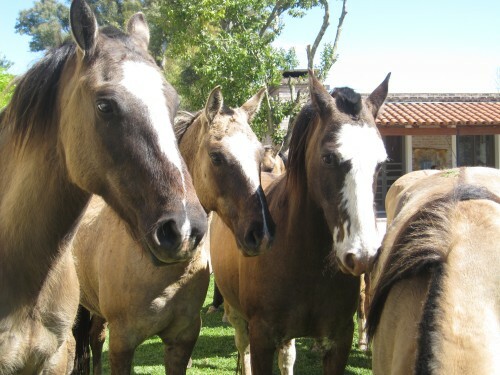 • Take a leisurely horseback ride around the beautiful grounds of an authentic ranch. For those who prefer, horse-drawn carriage rides are also available. • Watch gauchos demonstrate their guitar and horseback skills, including a unique display of tricks with the horses that will leave you enthralled. 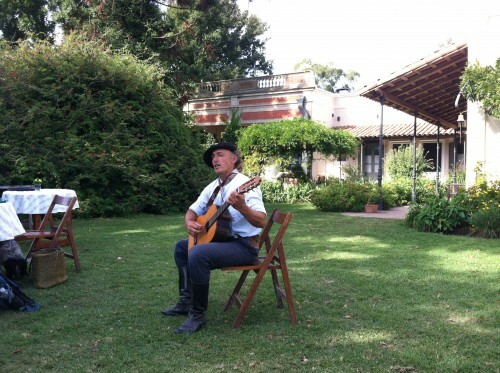 “My boyfriend and I recently spent the day with Guillermo visiting San Antonio de Areco and had one of the most informative and interesting days. I am a teacher and always looking for a tour based in history and Guillermo offered all that and more. The whole time he gave us interesting stories of the area and introduced us to many of the locals. The whole tour was very personal. 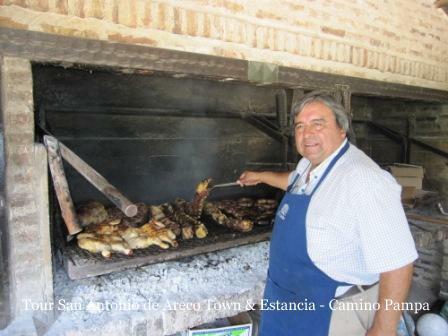 • The Private Estancia Day Trip has a close to 2 person minimum cost. One person can of course book the day trip solo, but will be charged $400 USD. We understand this is a high price, so please feel free to contact us for alternative options if you wish to book the estancia day trip for one person. • For this day trip we charge a booking deposit online to guarantee your booking and then you pay the majority of the remaining balance on the day in US Dollars (only) cash – this is not negotiable with Camino Pampa so please only book if you intend to pay the balance in USD cash. The deposit payment changes depending on the number of people you book for. • On this page we can accept bookings for the Camino Pampa private day trip for up to 8 people, however if you have a larger group, please feel free to contact us to discuss the possibilities. • Infants on the Private Estancia Day Trip up to and including the age of 2 are charged 25% of the adult price. Children on the Private Estancia Day Trip from age 3 up to and including the age of 11 are charged 50% of the adult price. Please contact us before booking with kids – in some cases with a group that has a higher child to adult ratio there may be a difference in pricing. From age 12 and up, the price is the same as for adults, and in that case there is no need to contact us before booking. • The Private Estancia Day Trip lasts approximately 9.5 hours, from pick-up to drop-off at your Buenos Aires accommodation. You will be met by Camino Pampa’s private transport at your hotel or apartment in Buenos Aires between 8am and 8.30am (exact time confirmed after booking) to drive to San Antonio de Areco, and will be dropped back at your accommodation at the end of the day at approximately 5.30pm/6pm. • Included in day trip price: Round-trip private transportation by car or executive van (with official tourism license and insurance), all activities and transfers within the town of San Antonio de Areco, bilingual local tour guide for all activities (town & estancia), Argentine barbecue lunch (asado), including salads and alcoholic and non-alcoholic drinks, activities at the historical estancia: horseback riding/carriage ride, folkloric music, demonstration of gaucho skills on horseback, explanation of countryside customs. • Not included in day trip price: polo lessons (please ask us if you want to include a polo lesson at extra cost), gratuities. 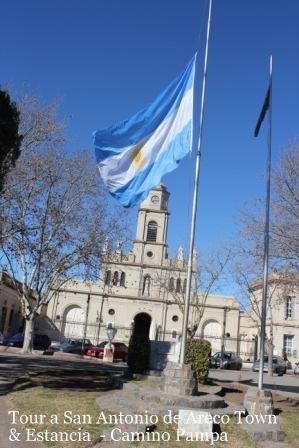 Also if you wish to purchase anything in the town of San Antonio de Areco (for example a drink in the gaucho bar) that is an extra cost on the day. Please select the date and start time on the calendar below. The only start time available is 8.30am – however this may change slightly depending on the location of your accommodation – you will be advised in advance of this (it can be between 8am and 8.30am). If the date you want isn’t available (or if you want to book for a special date such as Christmas Eve/Day or New Year’s Day), feel free to send us a message using this form, and then we will let you know about any changes in availability. After clicking “Continue” you’ll be redirected to our 100% secure, easy to use, online checkout to select the number of people you want to book for & proceed to payment (with your credit/debit card, or via PayPal if you have an account & prefer to pay that way).